You may only think of leadership in the context of how you lead your business, but in fact, this is a critical error that you should avoid. 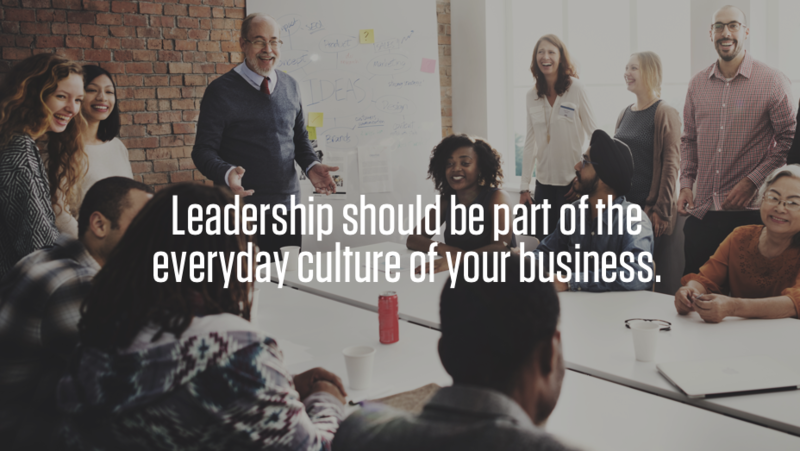 Leadership should be part of the everyday culture of your business. Employees at all levels of the company can lead, and when they do practice great leadership in their work, they will enjoy greater empowerment. In order to lead your employees, you must master the skill of influence. Harnessing the power of identity is essential to influence. What is your identity? It is the set of rules and beliefs with which you define yourself and provide for others so that they may define you. You call your business’ identity its brand. Ask your employees the following questions: How would you like to shape your personal brand; how would you like to describe it? How would you describe our business brand? Once they give their answers, assign them the task of fleshing out and expanding their sense of the business identity so that they can clearly communicate it to others. They will be the force behind that business brand moving forward. All people, including your employees, demand courage in the people who lead them. They need to have total confidence in your willingness and ability to protect the business and make the right choices under difficult circumstances. When you lead by example and demonstrate courageous leadership to your employees, you will inspire employee loyalty and awaken their sense of courage. Innovation, emerging intact from adverse situations and beating tough competitors all require courageous leadership — from employees at all levels. Without this kind of courage, the status quo always reigns supreme, and this is not how success happens in business. 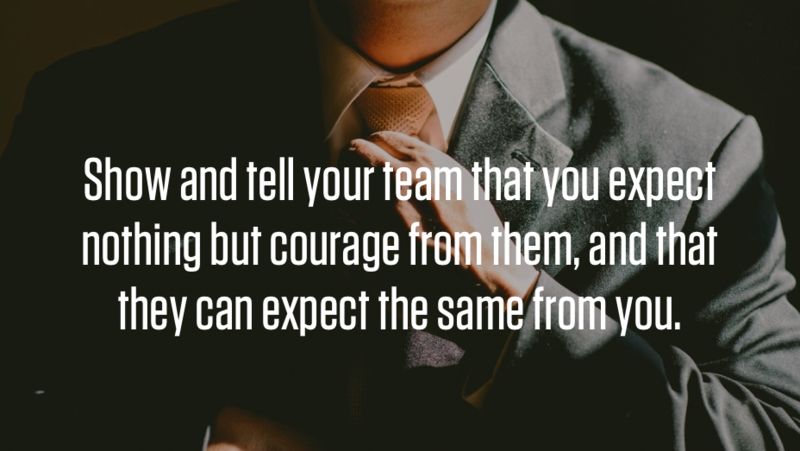 Show and tell your team that you expect nothing but courage from them, and that they can expect the same from you. An authentic leader is honest and transparent in all things, including in the personal face they show to the world. His or her actions align with expressed core values. An authentic, transparent leader inspires confidence and loyalty, not concern about possible ulterior motives. Leaders who are authentic and transparent don’t keep employees guessing; they are forthcoming about challenges and setbacks, not just with good news. You don’t have to get every detail right, but you do have to walk the walk in terms of owning your own mistakes and create measures to fix them so that your employees feel empowered to own and fix theirs, too. This kind of authenticity is contagious. Let transparency and accountability be central to your organizational culture. You can’t do everything yourself, but if you focus on simple delegation, you are missing precious opportunities. When you delegate work to employees, you order them to complete that task. You’ve handed them the rules and the expected outcome with little room for creativity and problem-solving. Instead, try to leverage the task at hand. Inspire your employees by communicating what you need from the work and letting them figure out how to make it happen. Don’t divorce yourself from the process, but don’t micromanage it, either. Instead, support your employees as they work toward the common outcome. In this way, you are sharing your goals with them so you can work together to see them through. By leading in this way, you are showing your employees how to lead their own task-driven workday. They become inspired by the common goals of the business and feel far more invested in outcomes. 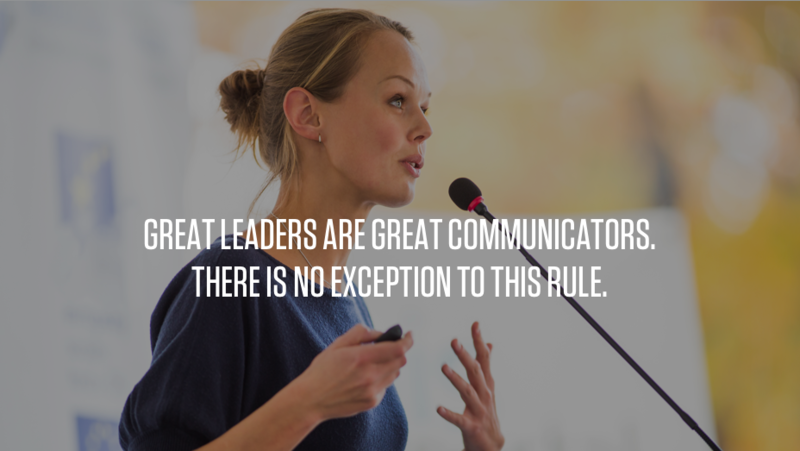 Great leaders are great communicators. There is no exception to this rule. Without the ability to make others understand goals, outcomes and missions, you cannot inspire employees. Great communication is part of the bedrock beneath a successful team because it forges true connections between people. Teach your employees effective communication by example. They will master these techniques over time, which adds the value and efficiency of great leadership to your business at all levels. If you are genuinely passionate about your business, your enthusiasm will infect your employees. The reverse is also true. If you want your employees to lead, they need to share your passion for your business, and only you can help them do that. The best leaders exude passion in every aspect of their work, whether they run the entire business or are just getting in off the ground floor. One thing that most great leaders share is emotional intelligence. Without it, it is difficult, and sometimes impossible, to be a self-aware leader. The self-aware leader understands his or her strengths and weaknesses, but doesn’t stop there. He or she also works to maximize strengths and improve in weak areas. 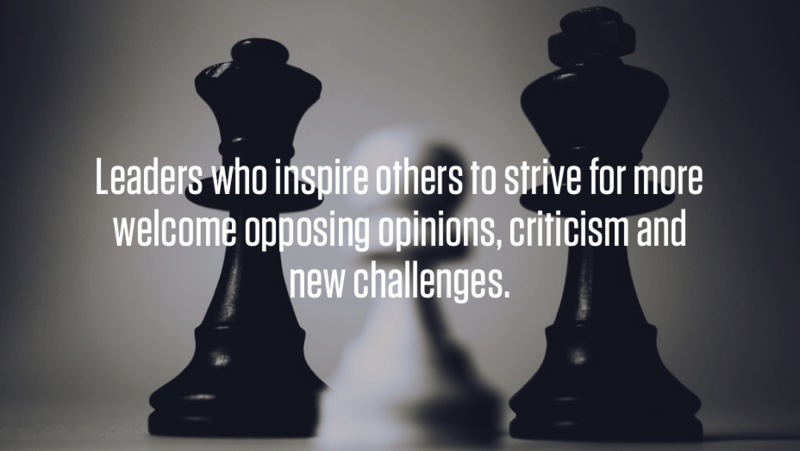 Leaders who inspire others to strive for more welcome opposing opinions, criticism and new challenges. They know that they have nothing to fear, and that this kind of feedback will only enhance their performance and ability to lead. This kind of leader invites employees into active roles in the business process. He or she inspires employees, helping them be unafraid to innovate and contribute. Remember, you don’t have to exhibit each and every one of these qualities right now. Take a measured approach and work on your leadership over time. Meanwhile, your employees will be growing their own leadership skills as you model great tactics they can use. As your own leadership style thrives and deepens, so will the leadership your employees exhibit as part of your team.